Rev.Fr. Thiruchelvam Nihal Jim Brown, age 34, the Parish Priest of Allaippiddy, Jaffna is reported missing since 20 August 2006. 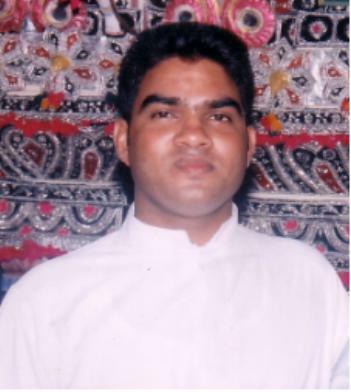 A lay person, Mr.Wenceslaus Vincent Vimalan, age 38, who accompanied the priest is also missing. Fr. Jim Brown was taking care of his Allaippiddy parish flock, about 800 in number now staying as refugees at St. Mary's Church in Kayts, and tried to go to say mass in Mandaitivu around 12.30 hrs. Permission was denied by the military to go to Mandaitivu and Fr. Jim Brown proceeded to Jaffna, from where he returned towards the islands along with Rev.Fr. Peter Thurairatnam, Parish Priest, Naranthanai, Kayts. Fr. Thurairatnam testifies to the fact that Fr.Jim Brown and the lay-person stopped at the Allaippiddy military checkpoint seeking permission to enter Allaippiddy to say Sunday Mass. Fr. Thurairatnam saw the two entering Allaippiddy, after receiving permission from the military, around 14.00 hrs. All this happened during the time curfew was relaxed. When it was found that these two persons have not returned to Kayts or Jaffna, another priest went to the checkpoint at Allaippiddy and made enquiries relating Fr. Jim Brown and Mr.Wenceslaus’ whereabouts and was reportedly told that both had returned from Allaippiddy. The two men have still not been seen in any of the possible locations. This mysterious disappearance has caused serious alarm among the clergy and the parishioners of the area. It is appropriate to mention here that Fr. Jim Brown was appointed to the Allaippiddy parish only a month ago to succeed the earlier priest who was a witness to the May 13, 2006 Allaippiddy massacre and, consequently, faced threats to his life. This priest had, therefore, transferred out to Punakari, an area outside military occupation. Incidentally, Fr. Jim Brown was the priest at Allaippiddy when the latest massacre took place, was the one who was responsible for the transport of the injured and was instrumental in arranging a judicial inquiry. It is feared therefore that Fr.Jim Brown and his companion may have been made to disappear by interested parties. NESoHR, as the 'watchdog' of Tamil peoples’ human rights, appeals to all concerned with human rights and the right to life to make urgent and effective intervention in this matter and to ascertain the whereabouts of this young priest and the layman who accompanied him. Please appeal for the release of Fr. Jim Brown. To assist this effort, look here.